Here’s your Arab celebrations in NJ? This just popped on Twitter. We tried the link. (https://t.co/Ql2VIRJOGN) included in the tweet. Either the link is incorrect, this is BS and was never there, or it mysteriously disappeared since found. Take your pick. We’re not endorsing it as real, just amusement for the time being. Update: Here’s a link to the archive that works. Minimum wage effect? Seattle area restaurant jobs have fallen -900 this year vs. +6,200 food jobs in rest of state. When morons who probably can’t balance their checkbooks think they’re economists. Conference Organizers Hit the Buzzer as Obama’s Climate Speech Goes 11 Minutes Over Schedule. 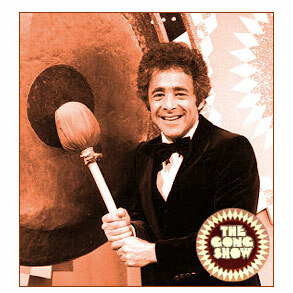 Where’s Chuck Barris when you need him? Stop Blaming Pro-Lifers For The Colorado Springs Shooting. The Planned Parenthood propaganda is deep. ‘Christian state’ group threatens to kill Belgian Muslims, destroy their businesses: If we can’t blame Islam for people acting like Mohamed then surely we can’t blame Christianity for people that aren’t acting like Christ. How political correctness rules in America’s student ‘safe spaces’: When they built the “safe-spaces” I said nothing, because in the cultural apartheid of the “safe-space” diversity of opinion is not allowed. Blue billionaires on top. Next time you hear a Democrat bitching about the Koch brothers, give them this list and tell them to quit taking the brown acid. Also remind them the Koch brothers give to the Democrats, too! Something they conveniently forget. These are the top 16, there’s more at the link. The other Koch brother is #29 donated $2,300,000 to the Democrats. ‘Stolen Valor’ bill signed preventing veteran impersonation. Every state needs this for these shitbags. Trump campaign forced to cancel press conference with black pastors after they shred him in the press. Brioni shoe on foot, meet mouth. The new danger of climate change… ‘flying boulders’: Scientists warn giant rocks will be catapulted into the air during powerful superstorms caused by global warming. Next he’ll be telling us ‘Sharknado’ is a documentary. Quentin Tarantino LIED about going to jail, ‘records show’ – despite director’s claims he knows ‘first-hand’ that police treat inmates like animals inside. What doesn’t happen in jail doesn’t stay in jail. Solyndra II: Energy Company Busts on Eve of Climate Summit. Makes the Solyndra I scam look like small change. The complicated legal structure of Abengoa SA means that if Abengoa Yield defaults, the Obama Administration cannot look to any of the other Abengoa SA subsidiaries to collect on the $3 billion of loans and guarantees. MU professor slaps girl, violently drags her out of school BY HAIR for not wearing HIJAB, police say. This is a college? These people couldn’t run a dog sitting service. How many Syrian refugees have Persian Gulf Muslim states accepted? Answer: zero. As in not one. Interfaith ‘climate pilgrims’ hand petition to UN ahead of COP21. Out of the claimed 1,780,528 signatures we wonder how many are fake? Percentage wise, there’s 7.3 billion people on the planet making 1,780,528 signatures a mere 0.024% of the world population, or negligible. Obama denounces gun violence after latest deadly shooting. Says the man who loves the violence at Planned Parenthood and the violence his Muslim “refugees” are bringing to Europe and America. ‘Planned Parenthood Shooter’ Identifies as Unaffiliated Voter, Female. If Bruce Jenner had a “sister.” Not a Republican either. Black Pastors Expected to Endorse Donald Trump: This is shaping up to be the most interesting election cycle in memory, and we haven’t even got to the primaries yet! Face of the New Democracy: Twitter is a weird/wonderful place and if you trawl it long enough you are bound to come across some weirdly wonderful things. And weirdly wonderful might be the best way to describe The Dirty Unkuls. So please check them out for yourselves and if you’re hungry for more it can be found on Facebook and Twitter. Muslim refugees spreading HIV across Europe. Not a big surprise that a culture with rampant homosexuality would have an HIV problem. NOAA, NASA: 2014 was probably not the warmest year on our record. Let the weaseling begin! VIDEO: Native American Senator Who Switched Parties Explains Why. Finally someone gets it that they need to get off the Democrat reservation. ‘MUSLIM-FREE ZONE’: GUN-SHOP OWNER WINS CASE. CAIR loses. They think free speech applies only to them. Dianne Feinstein’s Million-Acre Land Grab Falters. Trying to lock up yet more land in California. Someone should read the extra fine print and see if it allows her husband to build golf courses and condos there or solar and wind farms.